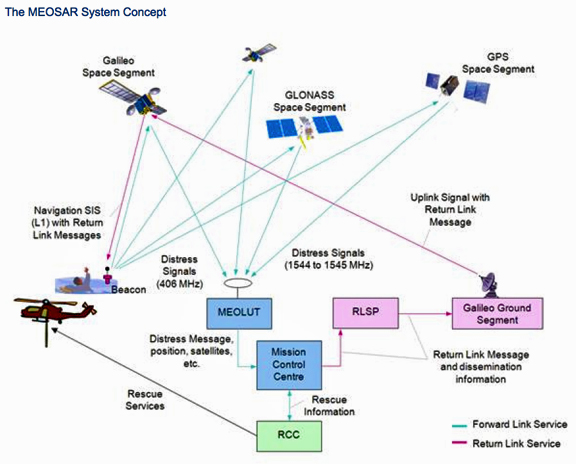 [SatNews] COM DEV International Ltd. (TSX:CDV) has successfully completed the Preliminary Design Review (PDR) milestone of the Medium Earth Orbit Search and Rescue (MEOSAR) Project. In March of 2013, COM DEV announced that it had been awarded a $4.7 million contract by the Canadian Department of National Defence (DND) to design and develop a MEOSAR repeater. Canada plans to provide MEOSAR repeaters to the United States which will integrate the equipment as hosted payloads on the next generation of the Global Positioning Satellite (GPS) constellation. At the PDR milestone, it was demonstrated that the repeater design is progressing well toward compliance with the requirements of DND and other members of the international MEOSAR stakeholder community. The MEOSAR repeater provides an essential communications link between people in distress or life and death situations and rescue authorities around the world. Work on the MEOSAR Project is being carried out at the Company's facilities in Cambridge and Ottawa. "On May 2nd 2013 the Minister of National Defence identified the MEOSAR project as an important initiative to provide a more capable search and rescue system for Canada and Cospas-Sarsat," said Michael Pley, CEO of COM DEV International. "We have reached an important project milestone and I am very pleased with the team's ability to deliver important space based search and rescue capabilities to DND on time and on budget." COM DEV began the development of MEOSAR payload technology in 2008 under a cost-shared R&D project with the Canadian Space Agency. Canada's National Search and Rescue Secretariat also provided important R&D support through its Search and Rescue New Initiatives Fund (SAR NIF) program. The current contract with DND includes an option to extend the development work to produce a fully-integrated prototype MEOSAR repeater for test and qualification. The international Cospas-Sarsat program was established by Canada, the United States, France, and Russia in the mid-1970s to provide a truly global search and rescue system. Since 1982, the Cospas-Sarsat system has helped to save over 33,000 lives around the world. In Canada the national search and rescue system is called upon to respond to more than 15,000 calls and provides assistance to over 25,000 people each year. Canada's Joint Rescue Coordination Centers coordinate responses to an annual average of more than 9,000 incidents. MEOSAR is the next evolution of the Cospas-Sarsat system. Analysis indicates the MEOSAR system will provide faster and more accurate detection of emergency distress signals on a global basis ensuring that search and rescue systems will continue to save lives for many years to come. The MEOSAR space segment is being developed through a Canada-U.S. collaborative effort. It is expected that 24 repeaters will be hosted on the satellites of the GPS III constellation, which orbit at an altitude of approximately 20,200 kilometers. 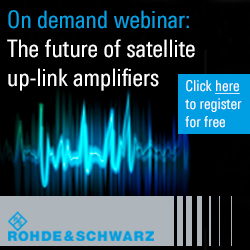 The repeaters will receive signals from emergency beacons and retransmit the signals to Earth stations called local user terminals (LUTs). LUTs process these emergency messages and send distress alerts to Mission Control Centers (MCCs) and national Rescue Coordination Centers (RCCs) which then investigate and launch a rescue mission as required. The primary types of beacons are emergency locator transmitters (ELTs) used by the aviation community, emergency position indicating radio beacons (EPIRBs) used in the maritime environment, and personal locator beacons (PLBs) used mainly by individuals in multiple environments.